As we're getting closer to a release of VersionPress 2.0, I'm going to blog about a couple of features that are coming as part of that release. Probably the biggest one is database synchronization which enables things like painless staging, team workflows, etc. This area is one of the biggest challenges when it comes to managing WordPress sites and I think we have a pretty interesting solution in v2. 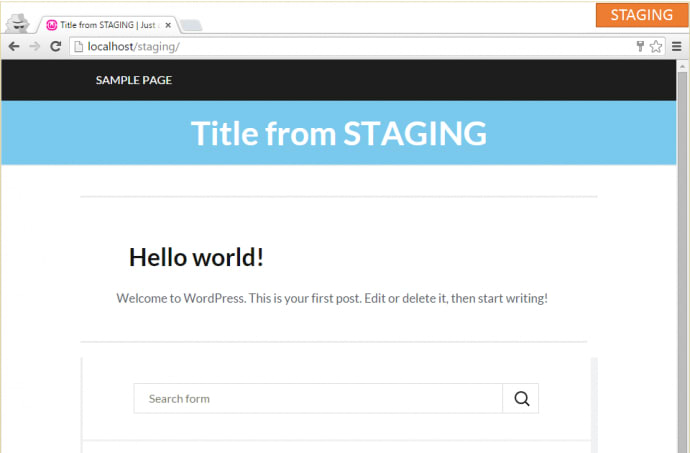 Although the sync / staging functionality is only coming out now, it was actually this very thing that got us started on VersionPress a couple of years back. 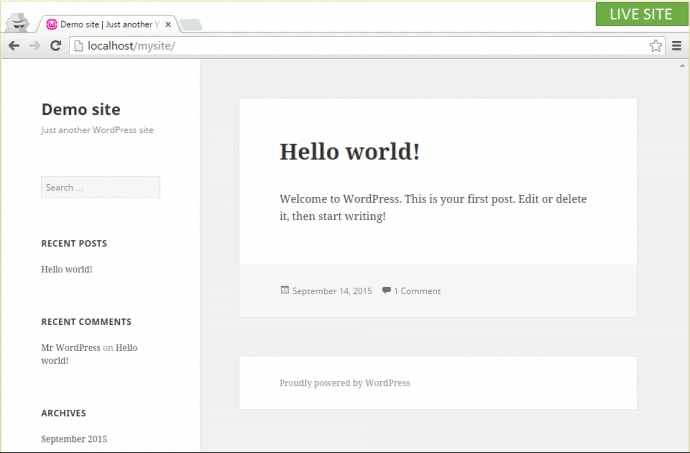 My personal experience with WordPress has always been that it is a great CMS as long as you can afford to stay in a single instance scenario, but I didn't quite know how to quickly clone the site to a safe environment, test the changes there and merge them back to the live site again. I stress the last part because that is the really tricky one. Cloning is relatively easy as you can just copy all the files and the database, tweak some settings like the site's URL and that's basically it. The copy & paste approach works well here. Where it doesn't work well, if at all, is the opposite direction. 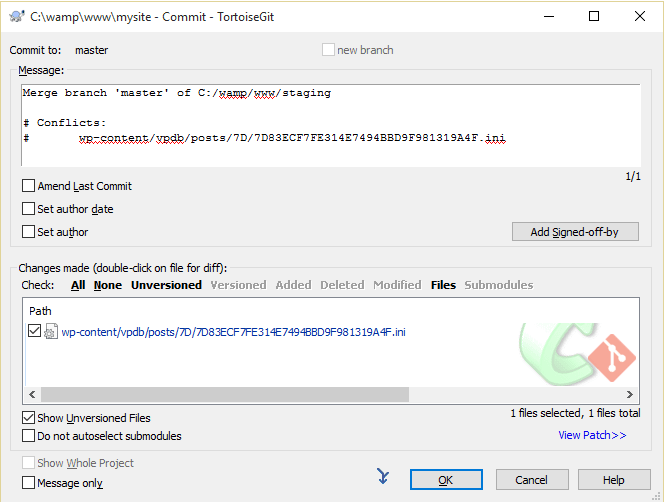 When you have some changes locally, you cannot just drop the production site and upload the testing one because what if there were new uploads in the meantime, new comments, posts, users, whatever? You would lose all that. 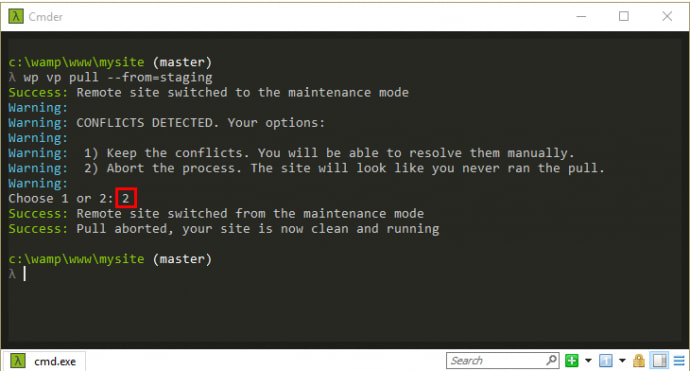 So you need to synchronize the two sites, or to merge them. And boy, merging is hard. In WordPress especially because a large part of the site is stored in a MySQL database and databases are generally very unfriendly to merging. They are transactional databases after all. So while WordPress generally benefits from having a database underneath, it also makes some things really hard. Which is what we're trying to solve with VersionPress 2.0. Let's demonstrate our approach on a technique called staging. Same principles would also apply e.g. 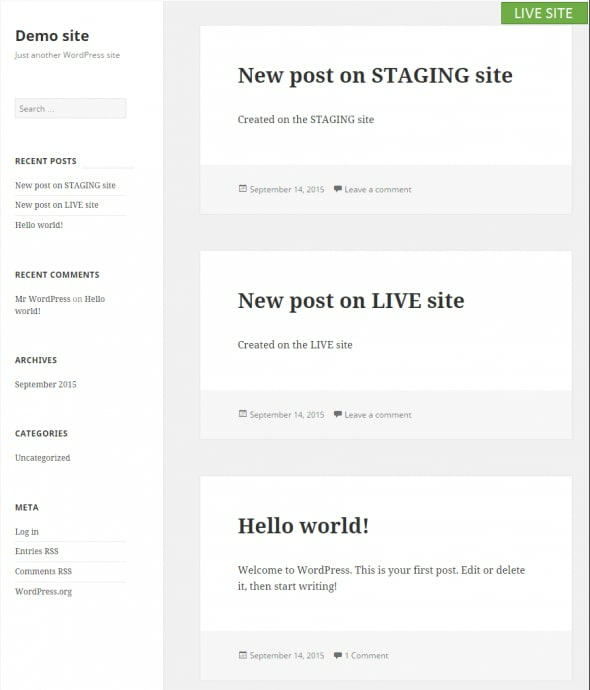 in team environments where multiple people have their own WP instances and need to synchronize the work amongst them, but staging is relatively straightforward so let's stick with that. 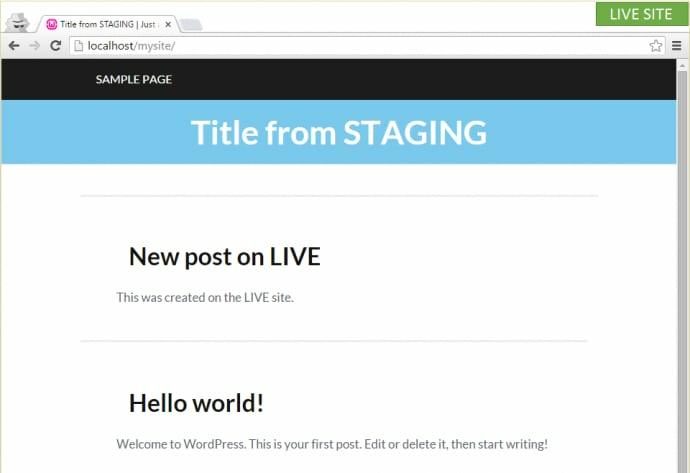 The point of staging is to have a separate WordPress instance where you can test changes however you want and they will not affect the live site in any way. When happy with the result, the changes should propagate to the live site. You might even have multiple levels of testing sites, for example, dev -> staging -> live, where every two environments are synchronized the same way. Let's use two environments, LIVE and STAGING, for the demos below. I want to experiment with some new design, and after learning my lessons in the 1.0 Walkthrough, I know it's better done off of the main site. (Having an Undo button is nice, client not yelling at me is even nicer.) 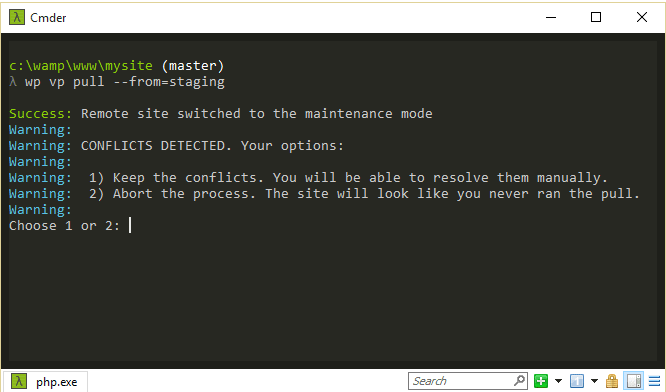 So I create a staging environment. 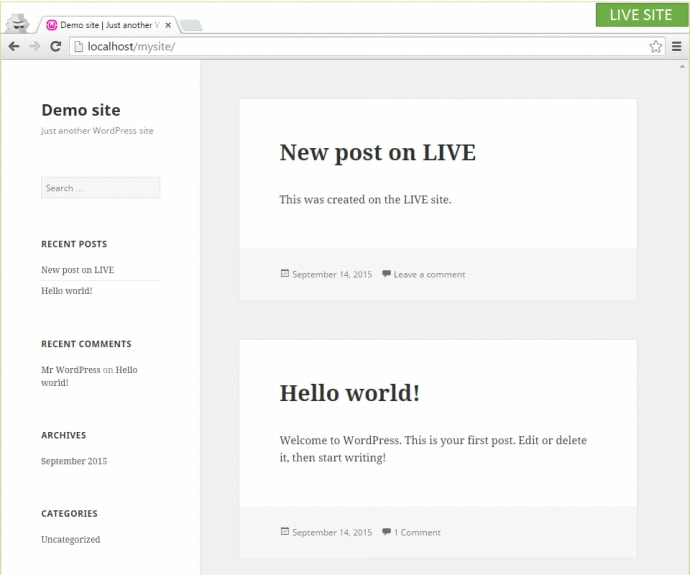 In VersionPress 2.0, this is done through a WP-CLI command. 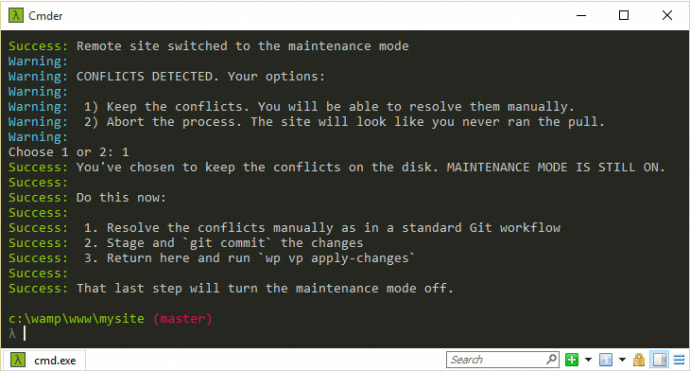 We are kind of in love with WP-CLI, it is an amazing technology but at the same time, we realize not everyone wants or can drop to the command line so in the future, we will have a friendly GUI for this. 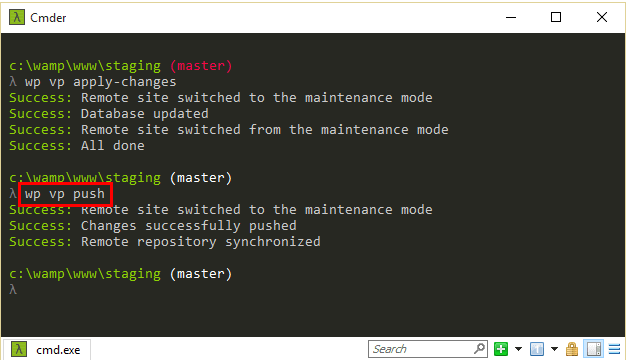 In v2, however, WP-CLI commands is what there is. 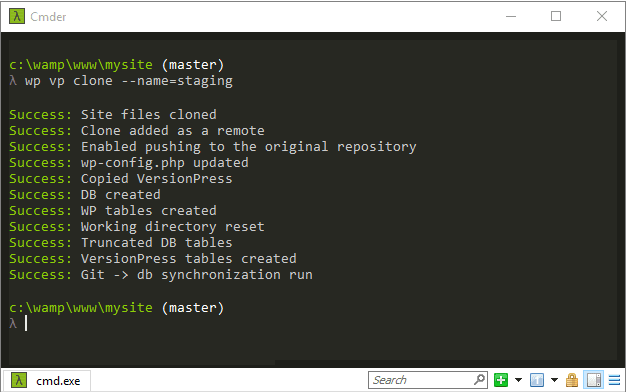 I specified that the clone should be named “staging” and that's the bare minimum I need to do – VersionPress will then create a folder called staging for my clone, new database tables prefixed wp_staging_* (customizable) and do a couple of other things like update the wp-config.php file for me. 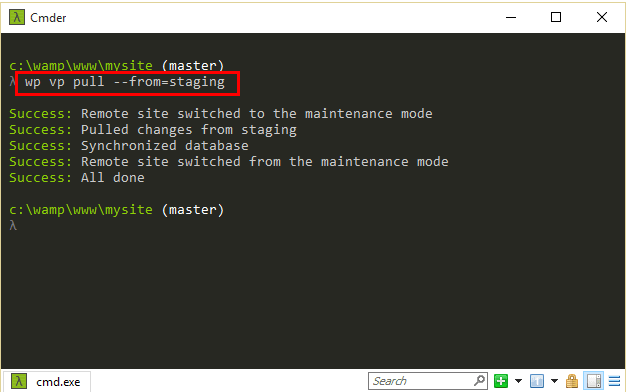 This means I cannot just blindly replace the live environment with the staging one. In the past, this would have been a point where things would get unpleasant – I would need to carefully compare both files and the database of both environments, or, in practice, maybe I'd re-do the changes manually on the live site. This might be feasible in some simpler cases but generally, it is an unpleasant manual process that leaves room for error. Voila! 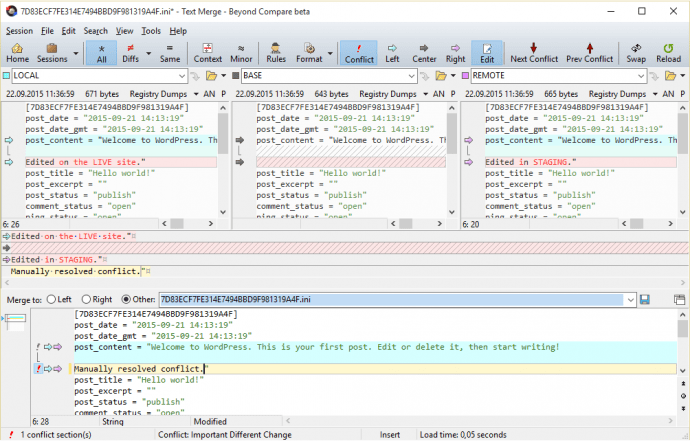 Database merge in WordPress. I find this pretty exciting because this workflow works for any kind of change, e.g., updating WordPress, installing new plugins, amending theme templates, etc. Also, the staging environment could have lived for months and contain dozens of changes, it wouldn't matter – I would still just run the simple pull command. This changes the difficulty or a merge from “hard, sometimes almost impossible” to “piece of cake”. I like such changes. 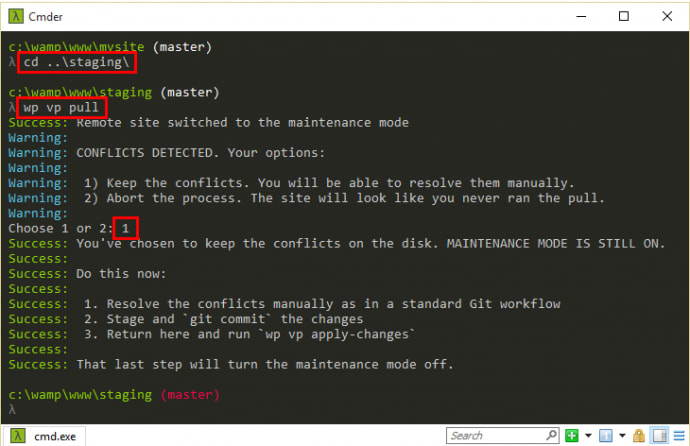 An important topic is conflict resolution and I'll start by showing that VersionPress' merging is actually quite clever and will avoid conflicts whenever possible. Same database ID? No problem. It was able to understand that the two posts are indeed unrelated and simply kept both during the merge. This behavior is extremely useful because it means that merging will be painless most of the time, which is the ultimate goal. However, what if there is in a real conflict? Like, two people doing a conflicting change on a single piece of data in both environments? 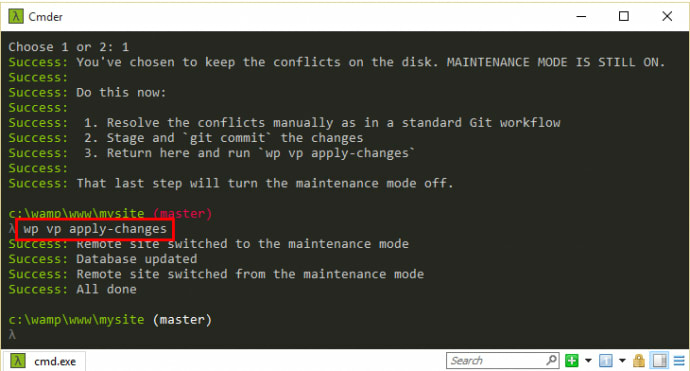 I know this is a bit geeky at the moment (again, a UI for resolving conflicts is coming in a future update) but hey, I was able to use Git to resolve a database conflict. I can't tell you how many times in the past I wanted just that! There's one last thing I'd like to cover, and that is the fact that the site was under maintenance mode until I resolved the conflict. You usually don't want this to happen on the live site, so let's finish with a workflow that deals with that. I'll probably stop here as this should cover most of the important scenarios. Just to reiterate, we're still working on VersionPress 2.0 and it is not entirely finished yet but if you want to play with this functionality, drop me a line at borek@versionpress.net and I'll be able to send you the current beta. And of course, if you want to support our effort in the long run, we'll be happy to welcome you in the Early Access Program on our homepage. Thank you and happy cloning & merging!